This option purchases 2 replacement knobs for the Tactical Athlete Pull-up System, plus the shipping. This is the extra shipping fees for FedEx to deliver 2 TAPS to you in Scholfield Barracks, Hawaii. Delivery will be made by October 22, 2018. Here is the Powerpoint from Jeff Martone’s F3 course in PDF format. Simply click “ADD TO CART” and follow through with the check-out process. You will be charged no money. The download link will come to the email address you provide. Shaun, this is a custom link just for you. Click ADD TO CART to order this replacement part for your TAPS. Deborah, this is a custom link just for you. Click ADD TO CART to order this replacement part for your TAPS. This is a fast-pace, action-packed, informationally-dense training program designed to accelerate your ability to understand, apply and master essential Kettlebell lifting principles and techniques specifically designed to boost your endurance and power output. Both novice and seasoned kettlebell lifters alike will gain many new insights and ability to train more efficiently, effectively and purposely. 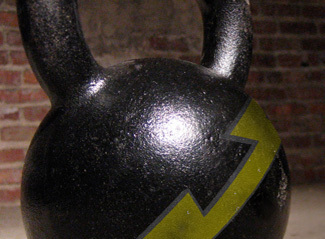 Click ADD TO CART to pay the balance due of $247.00 for the KettleBell Power and Endurance Program on March 25. Details will be emailed to you. Thank you! June 8-9, 2017 (Thursday & Friday) at the Indiana Law Enforcement Academy in Plainfield, Indiana. This 2-day comprehensive course will assist participants to achieve maximum fitness levels in minimal time, with minimal equipment. Learn how to systematically perform and safely implement this cutting-edge strength and conditioning program that will significantly increase the job-task performance while reducing the risk of injury. The goal is for each participant to achieve mastery of the skills presented in the shortest amount of time possible. Learning is accelerated through innovative teaching progressions – taught in a hands-on, building-block format. As the participants move through the three stages of skill development, they will learn how to detect and correct common errors as well as give effective coaching cues at the right time to maximize performance. The principles of motor skill learning, functional movement and program design will be reinforced throughout the training. Clicking register (“Add to Cart”) for this course will reserve your spot with a $50 deposit. You may pay the balance for the course ($247.00) by March 24, 2017.